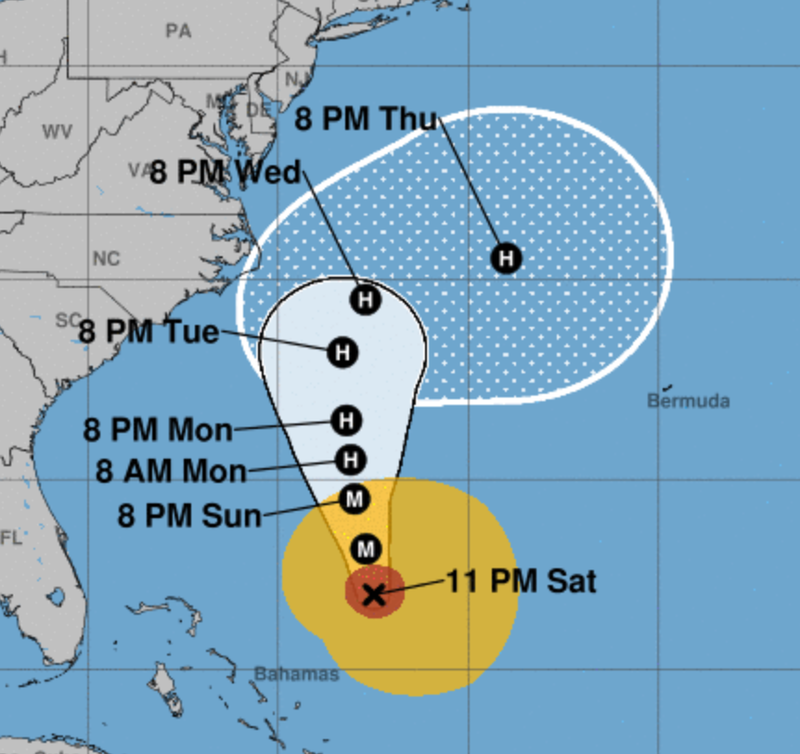 Here is the latest forecast path of Maria. 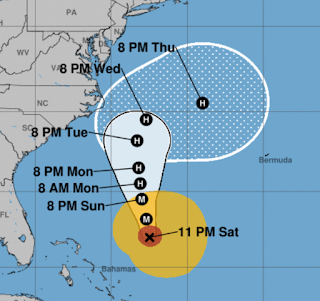 As it will be a hurricane off the North Carolina coast, the center is not expected to make landfall. That said, residents of the Outer Banks should be aware of the potential for high winds as the storm passes by. More on that tomorrow.